At least once a week, I sit back for a moment, take a deep breath, and wonder how it is that I got to this place. The place could be less-than-pleasant, perhaps inhaling a tactile cloud of black soot as a sickly Chinese-made truck rattles past on the road. 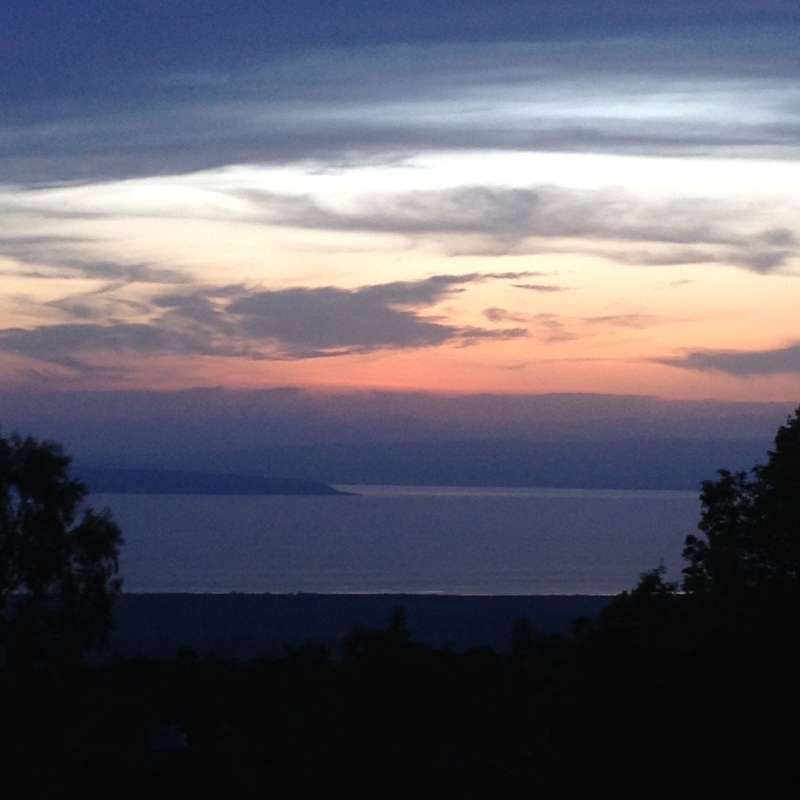 Or, in the case of my moment last week, perched on the top of a hill in Burundi, the spread of Lake Tanginyka below, the surface dotted with the lights of fishermen seeking a nighttime catch and the cosmos above, diamond stars scattered over an inky blanket. I’m sitting on a bench, surrounded by the staff of Village Health Works, drinking warm Amstel. How did I get here? It’s a more metaphysical question, as the logistics are easy enough: 2 hour bus to Kigali and 35-minute flight to hop the Southern border (in a small airplane with propellers that would impress the pants off my 3 year-old nephew). 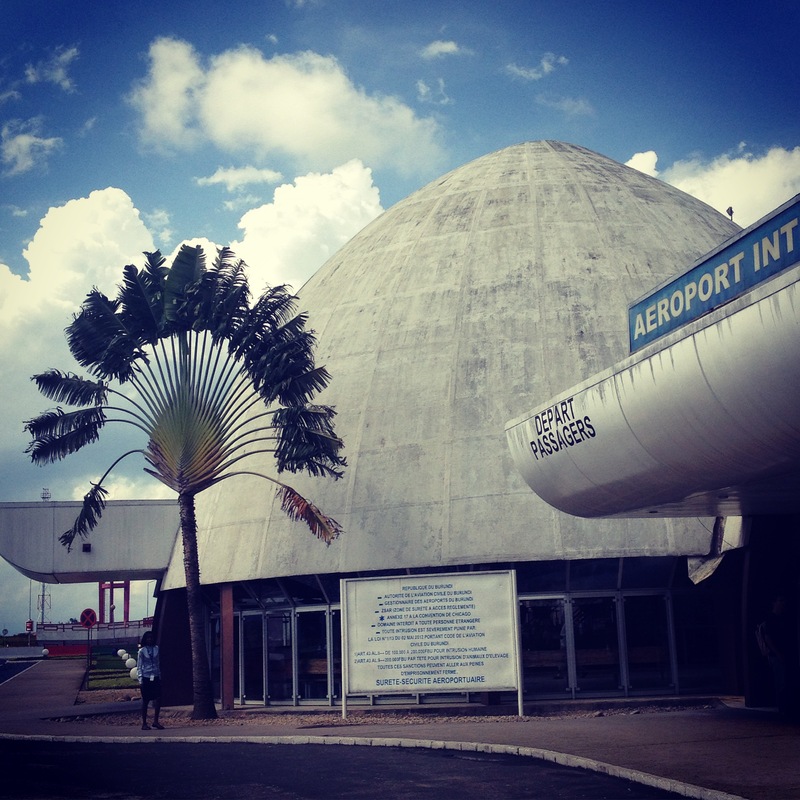 It took more time to wind down from the north of Rwanda to the capital city than it did for the plane to pop up, whirr through clouds for a few minutes, and touch down at the Bujumbura airport, a fantastic architectural wonder that looks like a cross between a carton of cement eggs and a memorial edifice to the death of the Soviet Union. My heart ached a little for Poland’s cement urban landscapes as I walked the tarmac to the terminal marked arrivée. Unlike Rwanda, which summarily rejected francophonia in 2008, Burundi is still heavily mired in français. My country guide was Renee, border buddy and English Language co-Fellow, currently working a university in the capital city. Will Paxton, in an article for Prospect, rather heartlessly describes the country (exemplified by its capital) as one that “reeks of decay.” There is some truth to it, though. The roads are a patchwork of potholes and dirt patches, making driving a sort of urban rodeo meets Mario Kart adventure, dodging motos (no helmets) and other taxis. The country is in the midst of a fuel crisis, evident around the gas stations where lines of cars with drivers standing outside, leaning against doors, wait their turn. It’s hot. Much hotter than Kigali, and infinitely hotter than my cool mountain paradise. The air feels heavier somehow, full of dust and humidity, but weighted too by the prospect of coming elections. Politics are discussed here, a contrast to the guarded nature of many Rwandan conversations, and people seem to be bracing for coming chaos. One common topic is escape routes. If something bad goes down, what are you doing? How are you getting out of the country? Do you have a go bag? 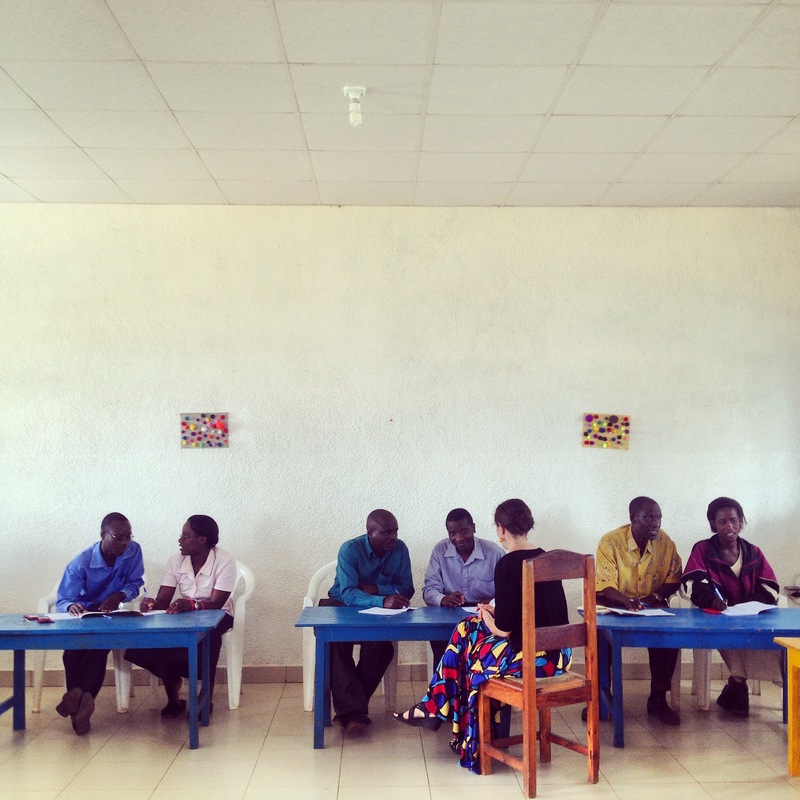 I’ve heard talk of it in Rwanda: NGOs are preparing for an onslaught of refugees. It’s a different world here, a reality different far from my own, despite the many similarities these two countries share. But Rwanda and Burundi share a deeper, darker strain: nearly fifty years of conflict between Tutsi and Hutu groups, one which culminated in the hundred-day 1994 genocide in Rwanda that saw nearly a million Tutsis, moderate Hutu, and other collateral peoples massacred. Burundi, in contrast, didn’t have such a large, singular outbreak of violence but suffered 40 years of armed conflict, with the most recent, defined conflict a civil war from 1993 to 2005 that left an estimated 300,000 dead. 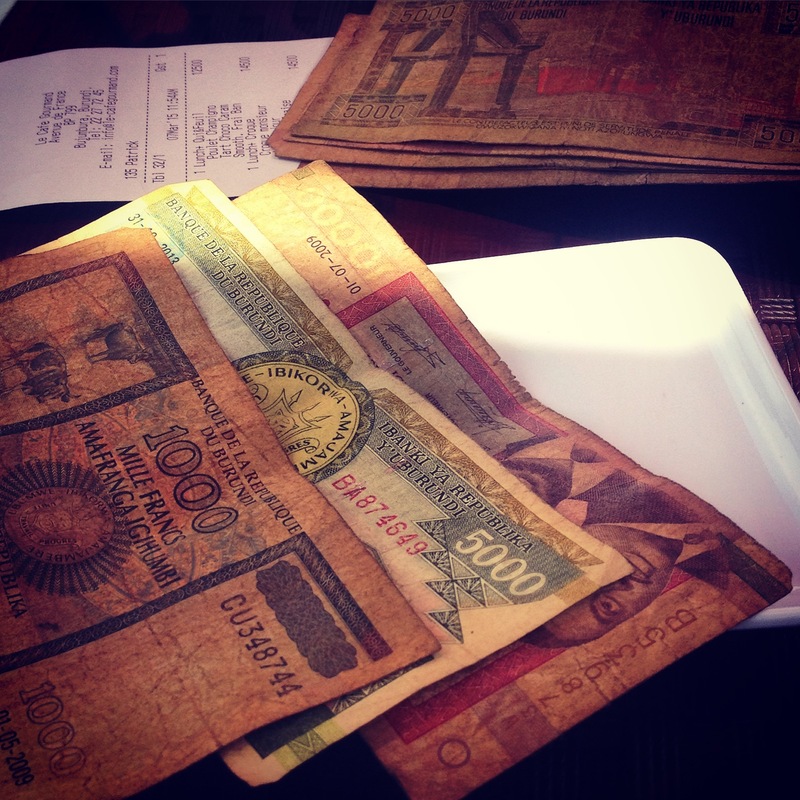 Today, Rwanda has managed to foster the growth of a middle class and begun a heartening trend of reducing poverty. 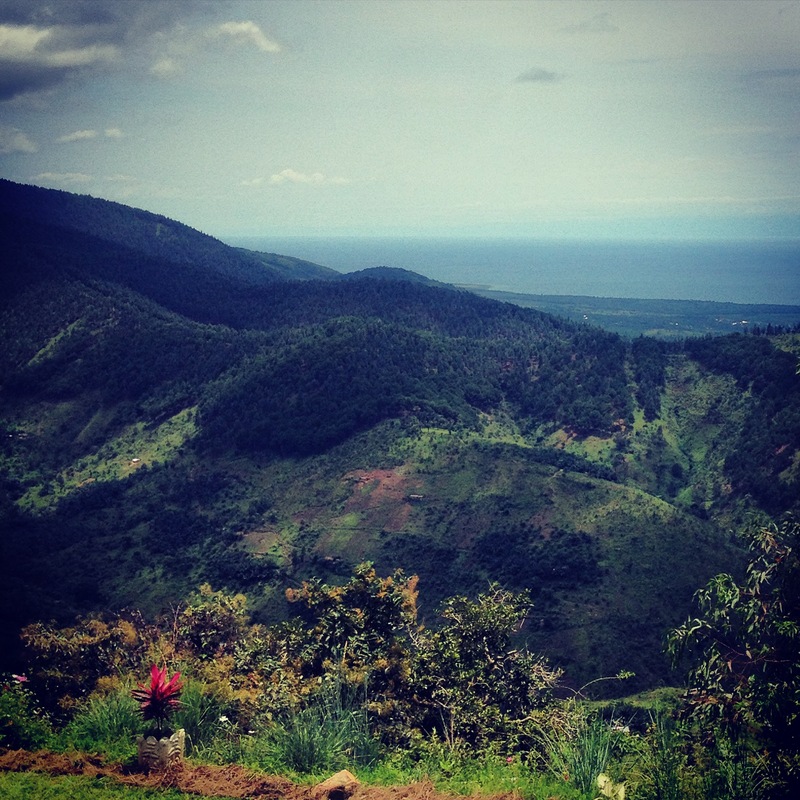 Burundi, though, is still working to rebuild and sadly ranks among the poorest nations of the earth, with 80% living on less than $1 per day. Renee and I left the Buja chaos to journey upcountry, bumping along the road that winds south along the shores of the lake. At some point, the driver pulled a left and we began a descent up into the hills, occasionally coming out on broad cliffsides (hillsides?) 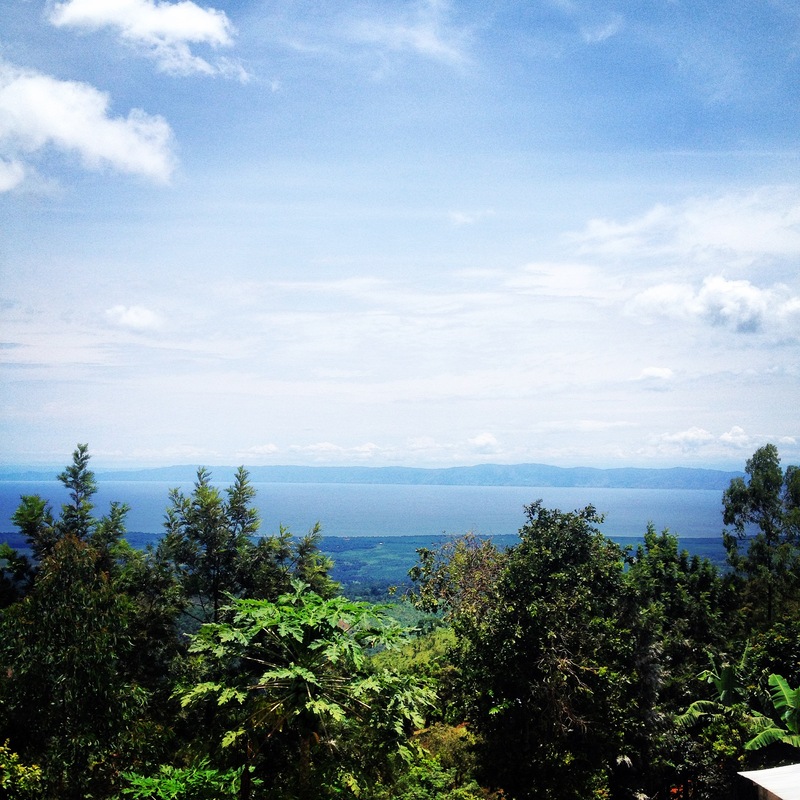 that opened onto increasingly spectacular views of the lake with the blue mountains of Congo to the west. Our destination came at the end of a jostled 2.5 hours: the Village Health Works (VHW) compound in the hills of Kigutu. VHW was founded by Deogratias Niyizonkiza, whose story of escaping violence in 1994 Burundi and Rwanda is chronicled by Tracy Kidder in Strength in What Remains. 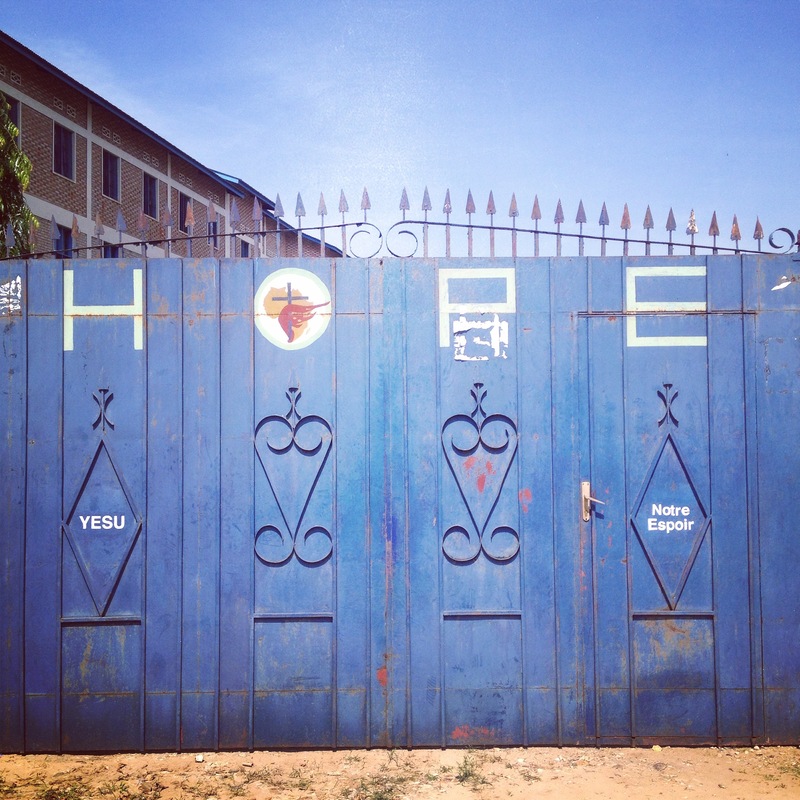 Deo’s experiences in school spoke the loudest to me- suffering the humiliation and abuse of corporal punishment, environments so foreign to those that language teachers try to provide today. He recalls his long walk to school, stopping to get a eucalyptus switch, knowing he will be late and for it, he will be beaten. He excels, nevertheless, and begins training to be a doctor when 1994 dawns, bringing with it bloodshed in both Burundi and neighboring Rwanda, where he flees and barely survives a rebel-dominated refugee camp, hiding his Tutsi identity. He escapes to New York, where the life of a poor immigrant refugee, one who speaks no English upon landing, offers little respite from past trauma. Deo’s biographer Tracy Kidder previously trotted after Dr. Paul Farmer, co-founder of Partners in Health (which has a hospital in Rwinkwavu, Rwanda), to write Mountains Beyond Mountains. Farmer makes an appearance in Strength as Deo begins work with Partners in Health, seeing the organization’s mission of offering quality healthcare to those forgotten by the rest of the world as the model he seeks for his own nation. I read half of the book on the porch overlooking the compound and the lake, the sounds of the breeze flapping palm fronds and cicadas buzzing as ambiance. His compound is a model, offering a holistic view of health services: teaching gardening and farming for nutrition and providing quality medical care, along hosting visiting health professionals, and, in our case, educators. 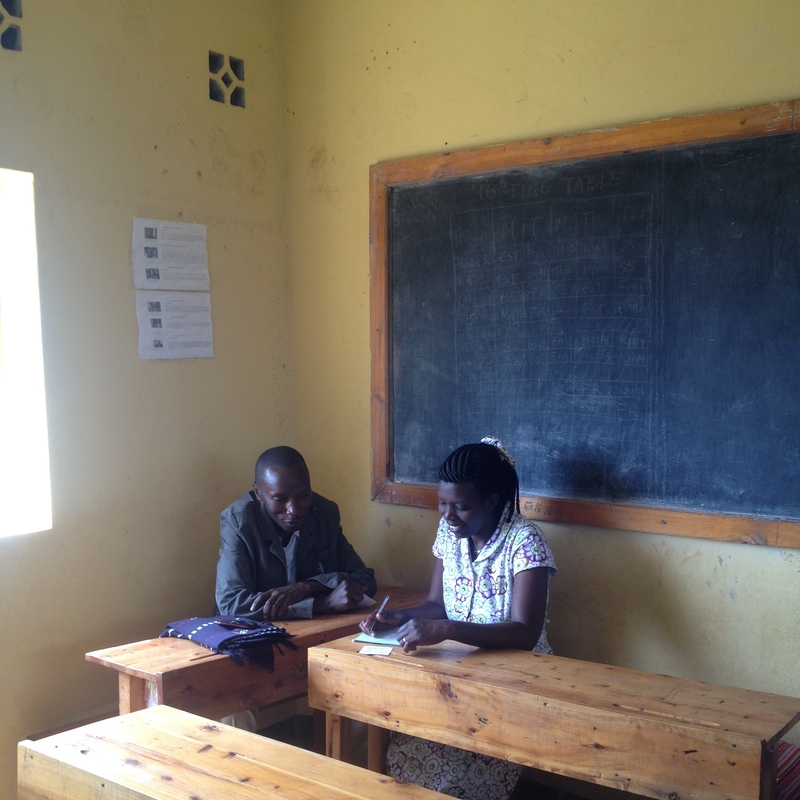 The compound is also home to the Burundi Access Microscholarship Program, a U.S. Department of State offering that provides (fun) English classes for youth. Because of this connection, we are at the compound to run a training for local teachers. Renee, such a natural storyteller, wrote a brilliant blog entry about our experience with this local group, and I’ll let her words describe our experience. It was a pleasure to work with a Fellow from the program, to bring our diverse experiences to one class to augment and assist each other. In my past life, back in the U.S., one of my closest friends was another teacher at my school, and we would conquer classrooms together, an ease building the longer we worked together. I love co-teaching. Or co-training. We stay for two full days: on the second day, after training, our contact invites us to visit the local hot springs. Two soldiers jump in as we reach the base of the Village Health Works complex, something our contact tells us is common. One soldier takes the front seat (shotgun riding shotgun) directly ahead of me, wearing a green beret and a small mustache. His Kalashnikov is propped between his knees, so I can see the muzzle and nose of the gun pointing up at the roof of the car. It’s a little worse for wear, with the wood panels on the gun’s body and handle shabby, the finish peeling off. In Rwanda, you see the same: navy uniforms of police or green camo of soldiers, all toting AK-47s with casual authority. And now, again, in Burundi, with a driver, two muzungu English teachers, a Burundian and two soldiers, crammed into a mid-range SUV. AK-47s and Toyota Prados: two constants in this side of the world. And some weeks, this is just my life: a patchwork of otherworldly experiences, laced with beautiful scenery and conversations, different places and different cultures. Rwanda is a small country, one that can be transversed in a day of bumpy bus rides from the beating urban heart, Kigali, to the outer edges. I spend a lot of hours on those buses, knees crushed into my backpack, surveying the thousands of rolling hills patchworked with terraced fields and dirt plots. One incredible aspect of my fellowship in this country is that I am able to travel the country, facilitating workshops for primary and secondary school teachers, dropping in at schools for day-long training seminars in Communicative Language Teaching (CLT), dealing with mass classes, and materials development. It’s a tour of the nation, one classroom at a time. 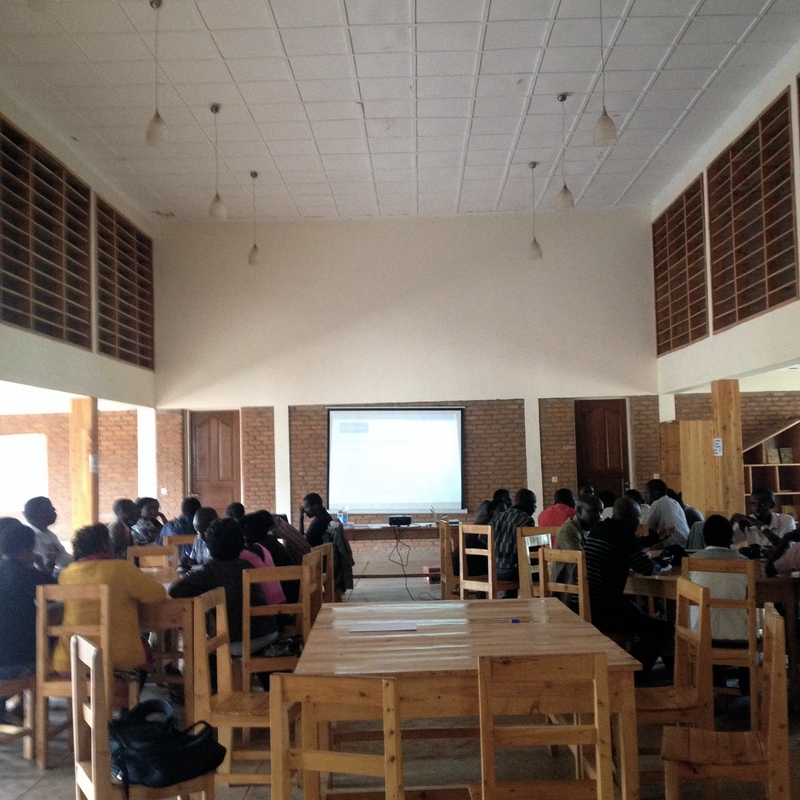 Here, in a few frames, are the classrooms I’ve visited throughout Rwanda (with the further-afield Tanzania and Burkina Faso thrown in for good measure). At INES-Ruhengeri, I’m a lecturer for weekend classes, populated by non-traditional students who are all working primary and secondary school teachers. I often teach a night or on Saturdays, in rooms packed to the windows. What happens when you cram 98 students into a room made for 40. Standing room only! Classrooms are remarkably similar throughout the nation, whether you are in primary, secondary, or tertiary institutions. Boxy rooms, in a variety of rectangular shapes, painted yellow, lined with windows that serve as the HVAC when a breeze is blowing. Nearly all have chalkboards, painted onto bumpy and uneven surfaces, which cover you in chalk dust and give a bicep workout when attempting to erase. The outdoor environment plays an important role in the Rwandan class: it helps cope with overflow of students, allowing large classes to spread out and participate in groups without the noise in the classroom reaching airplane-take-off decibel levels. Who doesn’t prefer to work outside? Teaching demos with local realia: onions, potatoes, and beans. Muhanga was a surprise: I got a ride to the site with the president of ATER, the Association of Teachers of English in Rwanda, and didn’t expect the hour-commute through Kigali and out of the city, winding on a typical two-lane highway to the city of Muhanga. There, I got to our classroom at a local Catholic primary school before the clouds burst open and hammered the tin roofs with the loud syncopation of January Rwandan rain. We had to stop, wait for the noise to subside, and then continued our focus on classroom materials. Muhanga came with its share of glorious classroom art, including my favorite so far: a sun-faded drawing of a marionette-looking head labeled “bones of a head.” (Which, let’s be straight, is a PERFECT name for a death metal band). Kanombe is a part of Kigali, far away from the city center and even beyond the airport on the main artery that runs from the center of town. I scoffed when my moto driver quoted a price of 1500RWF, but realized, 25 minutes into the ride and still not at the destination, that 1500 was a fair price. 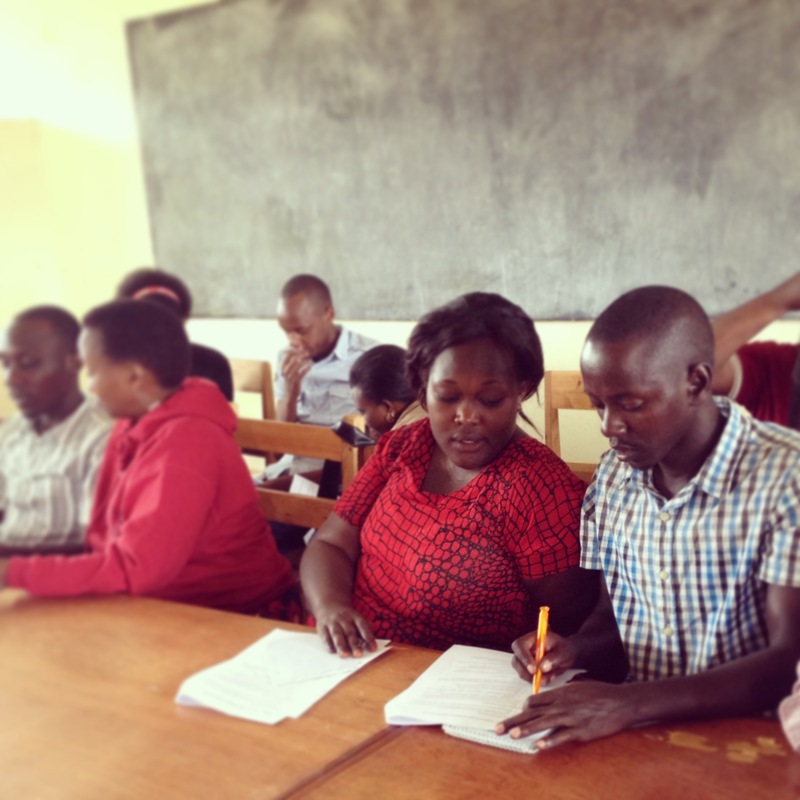 In Kanombe, I taught two different programs, two months apart. One classroom, at a private school, was bare-boned, only tables and chairs, with banal graffiti scratched into the typical yellow paint. The other, a back room at a public institution, was presided over by President Paul Kagame, whose dour portrait hangs over many a government office. His somber countenance contrasted with the lively dramas that the teachers put on, practicing warm-ups that help students see the lightness and humor that can be a part of language learning. 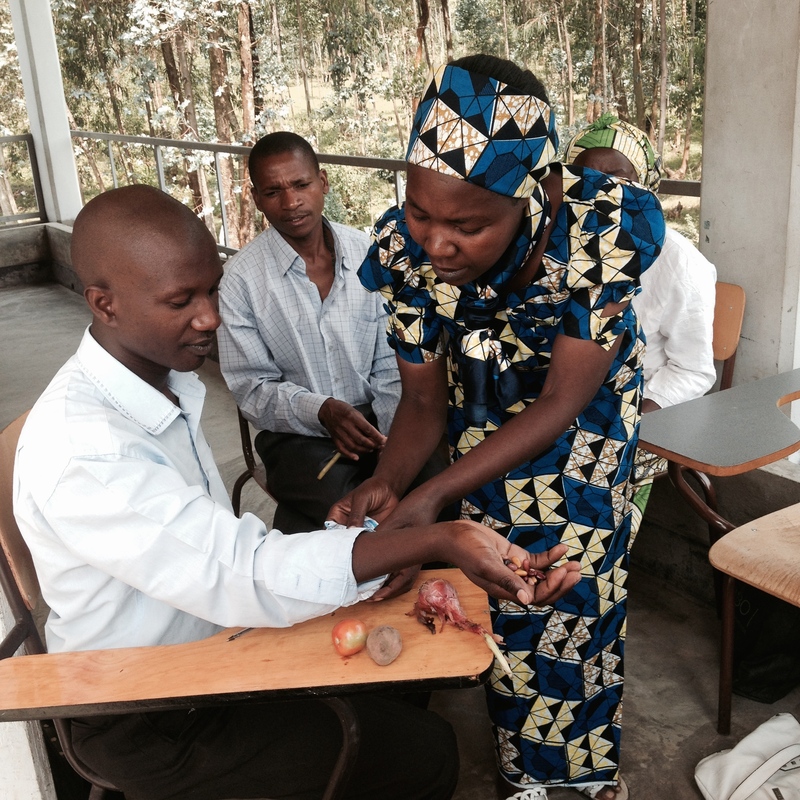 I first heard of Akilah Women’s Institute through the book Rwanda, Inc. 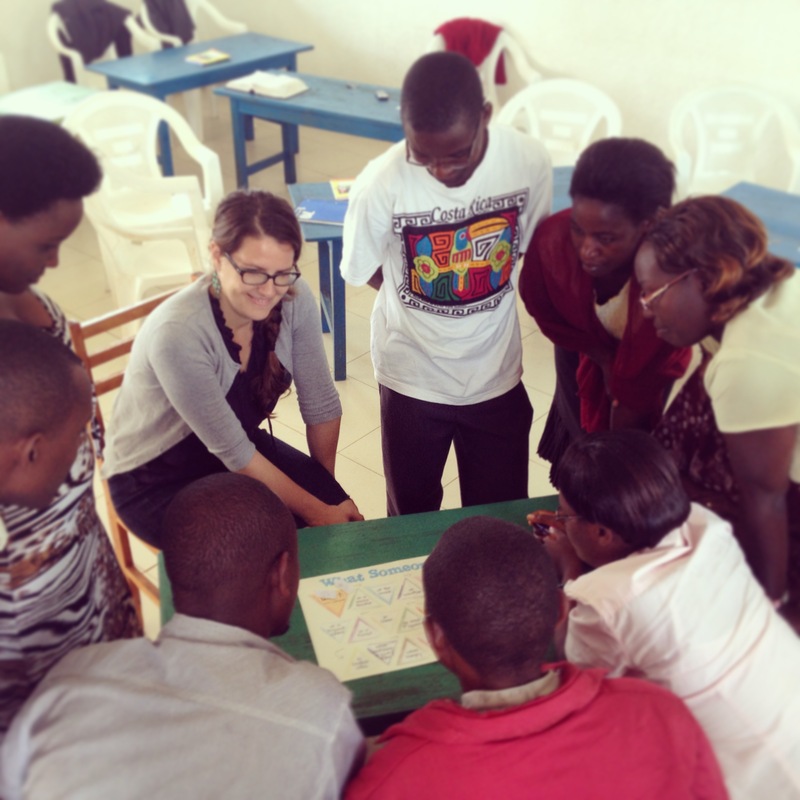 The institution is the first of its kind in Rwanda: for women, to provide leadership training and real-world skills. I applied for a job with them prior to accepting the fellowship, and I’ve been looking for an opportunity to collaborate with them since arriving in Rwanda in September. Through lengthy correspondence with the principle, I count myself fortunate to be asked to facilitate a workshop on Peer Observation for Professional Development, resulting in one of the best experiences among six months of trainings. So many Rs! A friend of mine, Keilah, a Fulbright English Teaching Assistant (ETA) working at the University of Kigali, made our way across the country to Rwinkwavu, deep in the east of the country for a two-day workshop for local teachers. 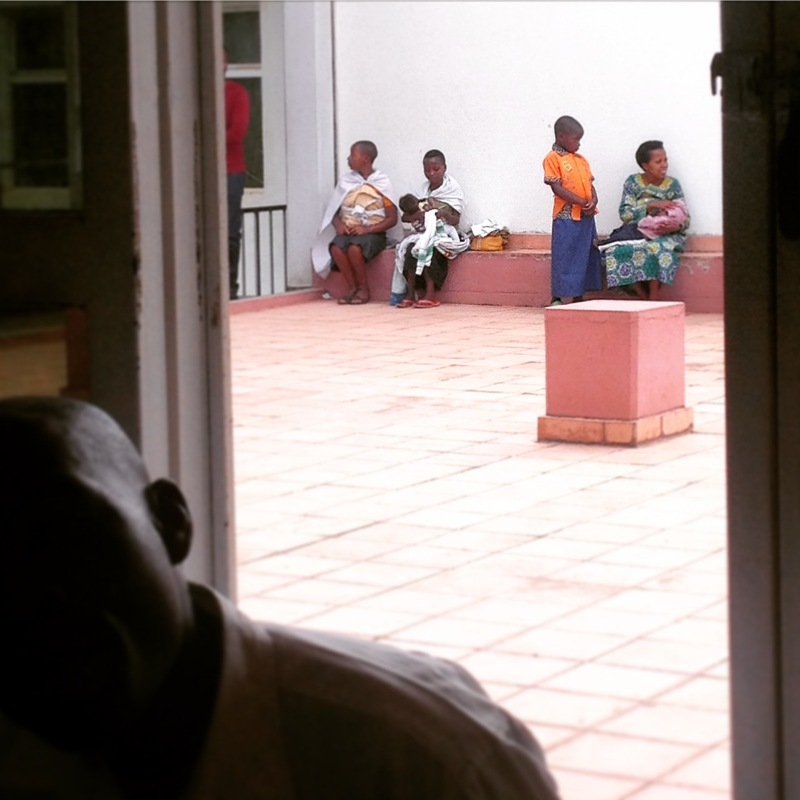 Rwinkwavu is known throughout the country as the site of a Partners in Health hospital, an organization founded by the incredible and inimitable Paul Farmer. The workshop was held at Reading for Reading, a nonprofit which works to encourage literacy in a country where reading, especially at an early age, isn’t so common. The classes were held in a library, a room with a high ceiling that grew warm and sleepy by 2pm. Is there a more perfect place for teacher training than in a room surrounded by bookshelves? At my university, the library stacks are kept behind a desk staffed (guarded?) by librarians. To walk and browse through book titles, leisurely picking up a few? An important aspect to literacy, I would argue. Remember this one from childhood? Gorgeous oil paintings and a story in the African context. In December, my supervisor out of the Dar es Salaam embassy asked myself and two other English Language Fellows to assist with a workshop for the Zanzibar English Teacher’s Association (abbreviated as ZAPETO), the sister organization of ATER. 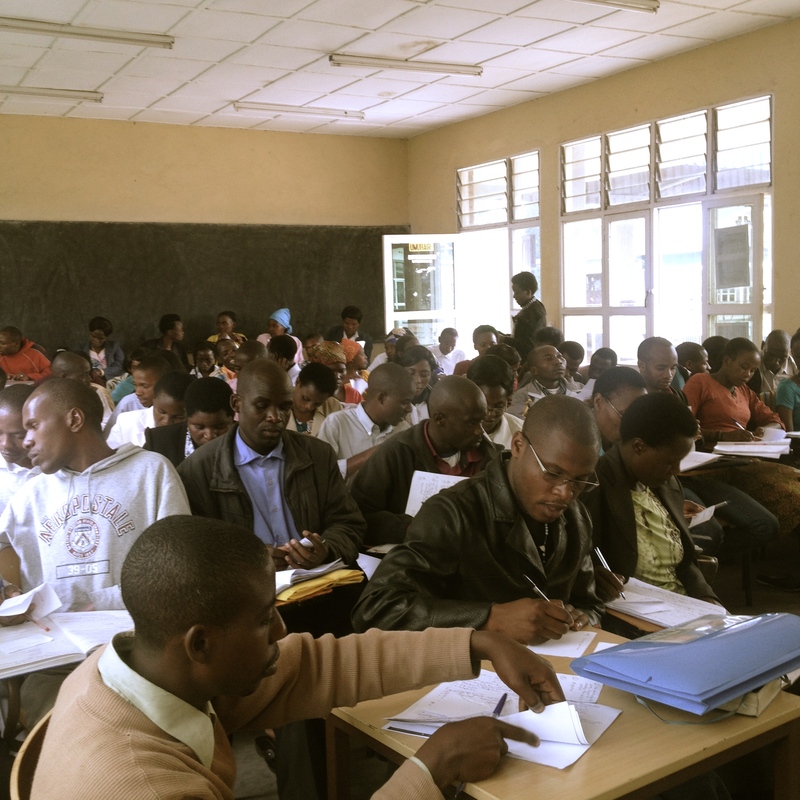 Professional teacher organizations are a newer phenomenon on the African continent, but with the (now) three I’ve worked with, I’ve been impressed with the teachers’ commitment to raising the professional status of their fields. Teachers need this empowerment: teachers who feel as though they belong to a professional community have access to resources for continual improvement and feel the sense of pride and importance in what they are doing. At least, that’s my opinion on the subject. Zanzibar, which one day I will write about in far more detail, was a swim through a heady cultural milieu of Arabic and Indian and African, all mixed together. The classroom was no different, one which I wrote more about in an earlier post. 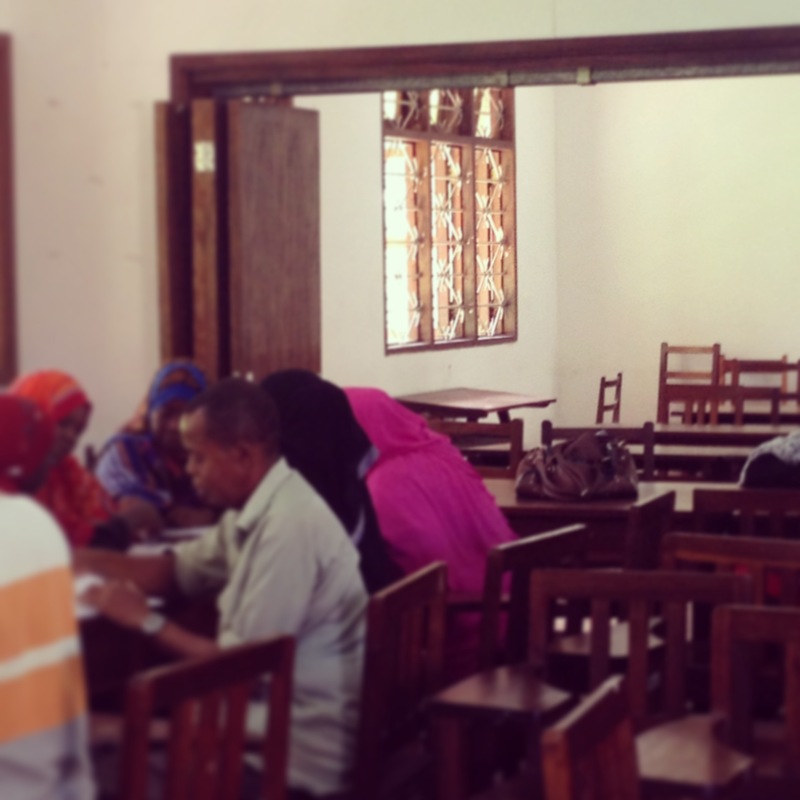 The simple beauty of Zanzibari classroom: dark wood, colorful headscarves. The classroom at a local primary school (public, though religion permeates much of everyday life on the island), was painted a refreshing white, with ornate iron curlicues as security bars on the windows. Everywhere was dark wood, probably gleaned from the island itself to line the doorways and construct the tables. The tail end of a feline visitor. In the final tour stop, we arrive at the linguistic mouthful of a capital of West African nation of Burkina Faso: Ouagadougou. I was in the city for my program’s midyear meeting, a happy event spent in hotel conference rooms and around the pool, commiserating and R&R-ing with my fellow ELFs from 14 other African countries. Our week of educational revelry ended with a conference hosted by the Burkina English Teachers’ Association (BETA), the professional organization for teachers in the country. Teachers came from all over the arid nation to listen to my co-fellows and I present topics we hoped were relevant for their experience. The venue was a fancy one: part of a university with air-conditioned (!!!) rooms with computers and projectors (!!!!) and SMART BOARDS (!!!!!!!!!!!!!). By far, the most technological room I have entered in six months. Decorating the rooms, though, were posters created by English learners who attended classes there. Most were focused on children’s rights, as with this lovely sample. The rights listed- how often do we think about these? So many of them we take for granted in the United States, or I even take for granted as I speak with teachers throughout my Traveling Teacher Training Circus. To privacy, to have an education, to health, to have an identity, to give opinions, to be alive. And this poster says it better than I ever could: this is the purpose of education, this is the value of the academic experience in classrooms across this continent and the world. To provide an environment that teaches about and encourages health- mental, physical, and emotional, that encourages development and importance of the individual and their access to privacy and identity, and, so importantly, the necessity to express one’s identity through opinions. These classrooms, these seemingly bare, yellow-painted rooms, represent the potential when they are filled with active learners and dedicated teachers. I have the best job. Ever.